When Japan surrendered to the Allies at the close of World War II, it brought along several other related incidences; one which was not related, and was not seen to come, was the division of Korea in to North Korea (the democrat people’s republic of Korea) and South Korea (the republic of Korea). As the war was coming to an end, both the United States as well as the Soviet had come to an agreement that they were going to accept Japan’s surrender in Korea. This would leave the USSR occupying Korea north of the 38th parallel line, and the United States would occupy the country south of the 38th parallel line. This was the agreement made, and it was to remain in effect until the country could come to terms and agree upon some kind of unified form of government, to occupy the entire country. These were the agreements made by the United States and Soviet Union. However, in 1947, the Cold War that had emerged between the U.S. and the Soviet, as well as the political differences by Korean citizens in both the north and the south, in addition to other issues and occupation forces, all led to the breakdown in communications and agreements which had taken place prior. In August of 1948, a pro U.S. government was laid out in Seoul, and a pro Soviet Union government was established in Pyongyang. 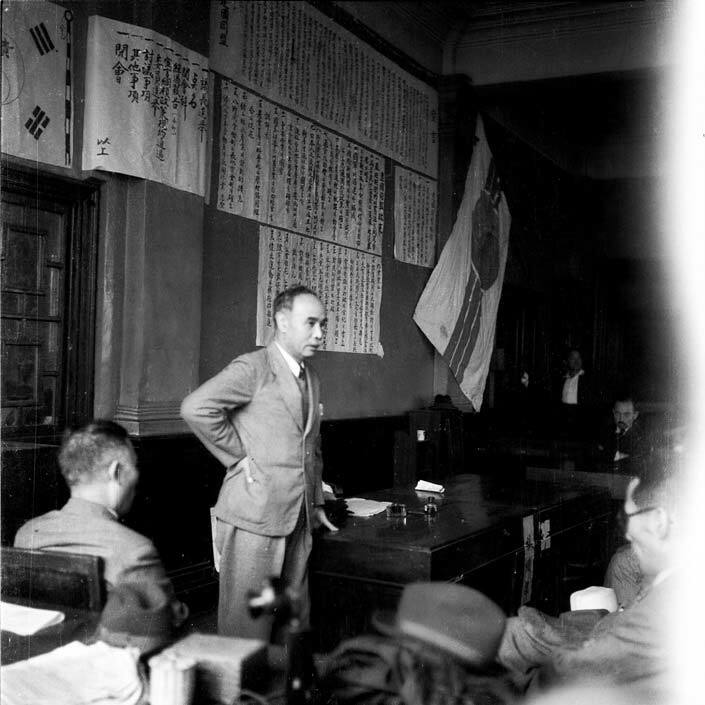 The fact that both the United States and the Soviet representatives claimed that they were the legitimate representative form of government for the Korean people as a whole. This created tension along the 38th parallel, which was the line that divided the Northern and the Southern borders (controlled respectively by the United States and the Soviet Union). 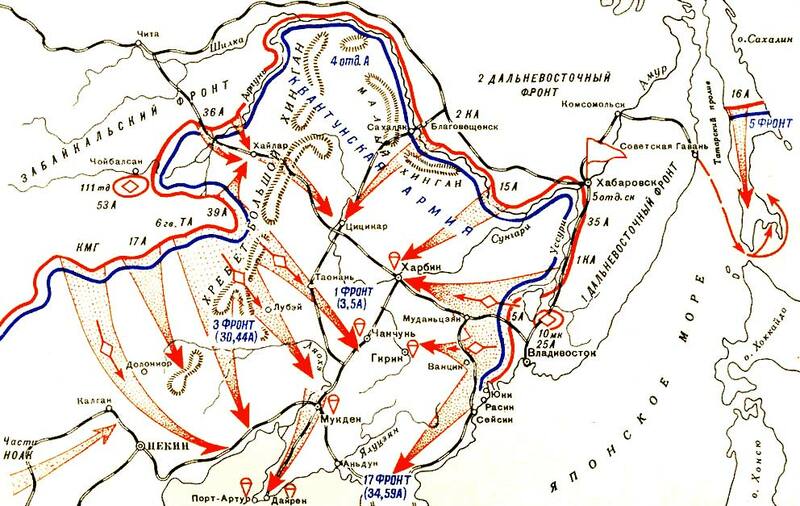 On June 25, 1950, North Korea (backed by the Soviet USSR), made an attempt to unify the border by forceful attacks. On the other side, the United States with United Nations assistance, led a coalition of several countries which came to aid South Korea. On the other end, the Soviet Union backed the North Korea forces, by offering aid as far as weapons and finances were concerned, and the People’s Republic of China also aided the North by providing them with thousands of troops to fight alongside the North Korean military forces throughout the duration of the war. This marked the end of the Korean War. Basically, things ended up the way they had started, and thousands of lives were taken, only to get the nation back to the place it was before the war erupted. In addition to the lives lost, there was plenty of physical destruction that took place to towns, businesses, homes, and other facilities, along the border of the 38th parallel, causing quite a bit of financial burden to all parties that were involved in the ordeal. North Korea and South Korea remained equally divided along the 38th parallel, and no real changes or major modifications were made to the territories or what portion of control each side had of the country. 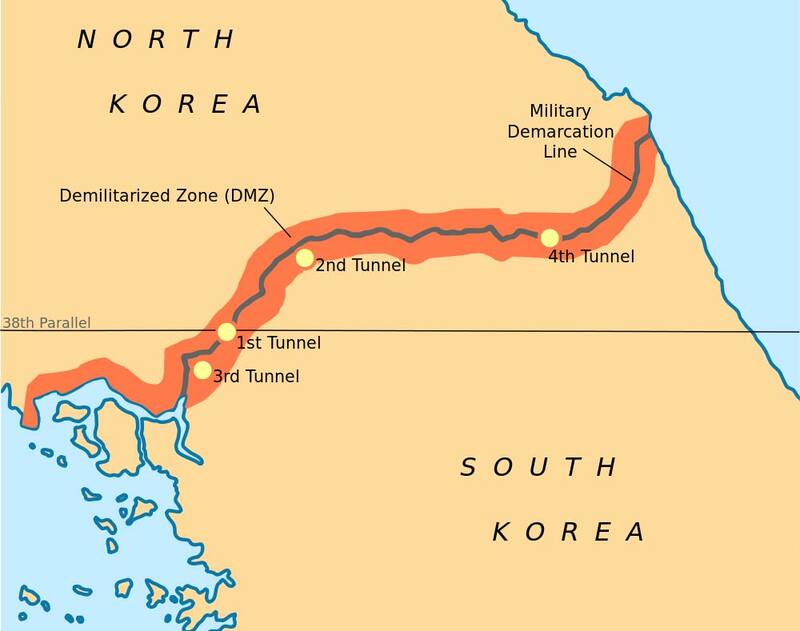 The sides were blockaded by the ceasefire line, (the Demilitarized Zone – or DMZ), which to this day, is the dividing line between North Korea and South Korean borders. Since the division of Korea in 1953, both North and South Korea have become to radically different nations, although both stem from the same background and culture. North and South Korea have extremely different political views and government bodies in control, and economic and financial conditions on either side are also quite different for both sides. The differences that stem between the countries today have little to do with what happened pre 1945 during the war, and are more so based on the influences by the United States and the Soviet Union, which were in charge of operations for several years on the North and South borders. North Korea is influenced by the Soviet Union and their style of governant, culture, and politics, and also follows certain government based concepts and ideas from China. South Korea on the other hand, has been greatly influenced by the United States, and in some parts Japan’s government, following a democratic society, and one that gives the people more of a voice than the central government style in North Korea. The division of Korea into North Korea and South Korea was forced upon the people by external forces, government, and powers that the Korean people had no say in. Although the former Korea is still divided and both North and South have a number of political issues and differences, the people of Korea believe that one day North and South Korea will have to reunite. Early in the 1970s, mid 1980s, and early 1990s, the nations seemed to be coming to some kind of agreement, and reuniting of the nation, but with each attempt at reunifying the country, either side was unwilling to make certain compromises, and make certain changes, which they did not find the opposite government form was the right choice for the people as a whole. In 2000, the first time a summit meeting ever took place, leaders of North and South Korea sat down, in an effort to discuss what agreements could be reached, and what would be in the best interest of all the citizens, military, and the nation as a whole in Korea. Although this led the people to believe there were possibilities of reunification, since the summit there has been very little communication, and even less agreement and unification effort, by the governments in North Korea and South Korea. Although the division of Korea stems back several years, today it is possibly the most divided nation. With extreme differences in politics, government, and rights for its citizens, North Korea and South Korea have quite a few differences and vary greatly in the way that the people are governed.